*MODEL: Road King. 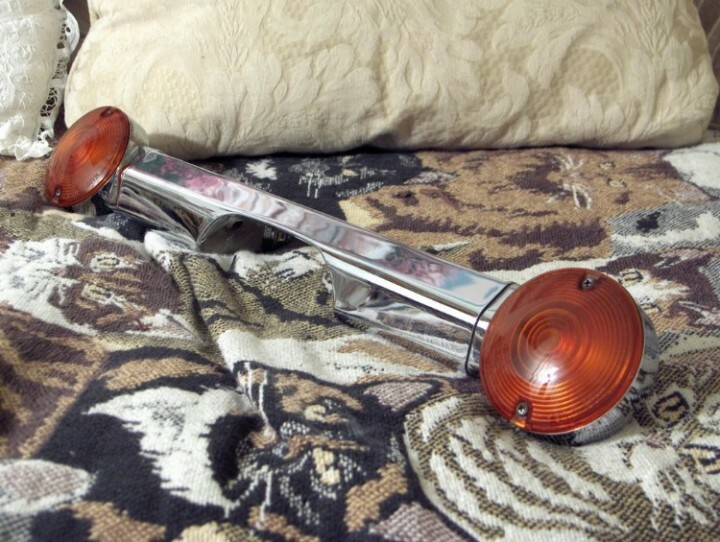 Buyer will be responsible for knowing which motorcycle this tail light assembly fits before the purchase. *CONDITION: Chrome is still in very nice condition with only a few minor scratches here and there. These lights were not tested before being put up for sale. The wiring was cut to remove the lights from the bike. The bolt holes appear to be in good condition. Some soil on the back unexposed side. Lenses appear to be in good condition. This tail light assembly was taken off a bike that was being given a customized look.